Your company’s commercial roof will hopefully last you for years to come, but at some point, you will need to replace it. Nevertheless, you can extend the life of your commercial roof and get more out of it when you create a commercial roofing maintenance plan and then follow it. Check out the most effective way to go about doing this below. Write down your commercial roofing maintenance plan and talk about it with others. To follow a commercial roofing maintenance plan, you’ll need to start by coming up with a plan in the first place. You should write the plan down and talk to your fellow business owners and/or managers about it so that you’re all on the same page. Your plan should include doing regular roof inspections and making roof repairs as needed. Writing it down will ensure that you follow the plan once you put it into place and don’t try to cut any corners. 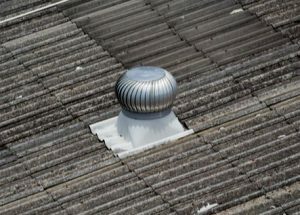 Plan to have your commercial roof inspected twice a year. When it comes to commercial roof inspections, you should strongly consider having two of them done every year. You should have your roof inspected once in the spring and then again in the fall. During an inspection, a commercial roofing company will walk on your roof and look for any potential problem areas. They will also mention any maintenance steps you might want to take, such as cleaning off your roof or making additions to your roof to protect it from the sun and other weather. Make any necessary repairs to your roof right away. In addition to having your commercial roof inspected, you should also have it repaired at the first sign of trouble. If your roof needs to be repaired and you choose not to make the necessary repairs, you could be leaving it open to further wear and tear. You could even end up with a big problem like a leak simply because you chose not to take care of a comparatively smaller problem. Basic maintenance on your commercial roof will help you avoid larger issues down the line. At Ray Roofing Supply, we can help you create a commercial roofing maintenance plan and then stick to it. Call us at 330-452-8109 to take advantage of our commercial roofing services.